With the announcement of the now former, Delaware State GOP Chairman, John Sigler, that he would be resigning effective immediately, a lot of names are being bandied about as to who the new Chairman should be. It is no surprise that one name keeps coming to the top, Jeff Cragg, former GOP candidate for governor in the state of Delaware. I say that it is no surprise because I know Jeff Cragg, and I know that he is well qualified to chair the state GOP Executive Committee. The two best reasons for Jeff Cragg to be selected as the new chairman would be number one his intelligence, and number two his intelligence. Anyone who has ever taken the time to sit down and have a conversation with Mr. Cragg knows this, they also would know that he has a wit and a manner that puts people at ease. More reasons that Jeff Cragg would make a great chairman, is that as a former statewide candidate he has the experience of running a statewide race and could pass that experience onto others. He has a firm grasp of the issues facing the state of Delaware. During his campaign he made numerous political connections that would serve him well as chairman. Jeff Cragg is also a person who sees, if there is to be a future for the GOP, it will require leadership skills that I personally feel Jeff has. 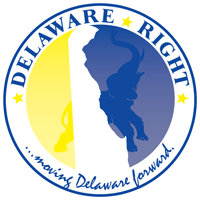 Jeff Cragg is a person who also understands that the Delaware GOP is made up of many differing view points and opinions, Mr. Cragg has always been a person who believes that we as a party must work together, and he has worked to make that happen. I have known him to be a person who can work to find a compromise, even when there is not one hundred percent agreement. As for myself, well Mr. Cragg and I do not see eye to eye one hundred percent of the time, more like ninety, yet somehow he is able to put up with my constant beating of the drum. Jeff Cragg is a businessman, he is a family man. He is everything that we would want in a state chairman. And still, I personally hope that he does not seek the office. Now you may be wondering why? Well for all of the reasons I listed above, because the very things I listed above that would make him a great chairman, would also make him a great choice to again run for a statewide office. I helped in my own small way with his gubernatorial race because I believed in him. I would gladly help him in anything he seeks to do to move the conservative movement and the state of Delaware forward(okay that was a bit of a whoring move I know). I am concerned that if he were to take on the role of chairman, that he would damage his future as a candidate. Let’s face it, the position of chairman is a thankless job. The only people who ever seem happy with the chairman is the opposition party when he makes a mistake. The chairman must make decisions that may end the hopes of some candidates, while working to help others to win, the chairman will always be hated by some part of his own party. To do the job correctly, the chairman will make life-long political enemies. If Jeff Cragg decided to take on the role of state chairman, then he will do it because he believes that he is the right person for the job, and I will support him for the same reason. If on the other hand he decides to step back from this cliff, then I will support him in that decision as well, because I know that no matter what, Jeff Cragg will play a leadership role in the Delaware GOP, one way or another. 20 Comments on "Jeff Cragg For Chairman?" I saw some detractors making light of this on another forum. They were searching for larger vote getters from the distant past. The question regarding Cragg, is did he learn from his last campaign? If so, he is then the most qualified to lead. He is the only one who knows exactly where the missing supports are needed. Kavips, you are correct, and I feel that Jeff Cragg did learn from his last campaign. I heard someone in an official GOP capacity talking of needing a Reagan. These are people who cannot adapt to changing times and needs, they are the same people who would have us living in the fifties forever. It depends on what we are talking about. If we are talking about Mr. Cragg again running for a statewide office, or whether we are talking about him as state chairman. As chairman it will be his number one job to raise money for the party and then to decide who to give money to and who to with hold money from in the best interest of the party based on who has the best chance to win. I believe Mr. Cragg has the insight to do either job well, not based on his personal ideology, but based on the fact that he can see the entire field, and knows how the game should be played to score wins, not just first downs. I don’t know that it makes a difference who the chairperson is. After, all if you are the captain of the Titanic, does it really matter at this point? Still, consider that the GOP brand is broken and the DE GOP brand is a reflection of the national brand. Do you hire a CEO with the capability to fix the brand? Besides answering “yes” isn’t there also a consideration on how to recover the brand? If the product is good, then the job is primarily one of marketing. So you would find yourself a good marketing pro. But what if the product is the problem? Do you need a CEO that re-engineer the product? I think this is the fundamental question. There are those who would unequivocally state that there is nothing wrong with the product. That it just hasn’t been marketed very well. However, if you look at the rats deserting the ship (at least in Delaware) it is no longer just the moderates who have felt marginalized and disenfranchised. It is also the far right who also seem to not find what they want in the party. So what does the party really need; re-engineering or reinvention? Labels, such as “The party of no” are telling. It portrays a part whose only goal is obstruction in world where the only way to get things done is cooperatively. They have to be part of the conversation about how to govern and not how to prevent governance. They have to adopt social and fiscal issues and propose their own solutions and not just attempting to prevent all solutions. It’s almost an impossible task nationally and certainly a very tall order in DE. I don’t know that there is any one really up to the task. Tongue in cheek, I’ll suggest Mr. Houser might be the man for the job. Knotthead your outta the loop Cragg is having a luncheon with Lacey Lafferty to discuss her plans to run for governor. If you want a statewide winner that can raise money, the Delaware republican party has one of those hanging around, his name is MIKE CASTLE. Castle raised millions for himself, the party, and other candidates, took a third of minorities and Democrats and almost 70% of undecideds every election cycle, and was the greatest bridge builders in the US Congress in the past 20 years. I suggested Mike Castle as Chair in December 2012 in a News Journal Delaware Voice, fine by me. As for the party of “no”, when the Democrats propose silly and ineffective legislation we have to oppose it. There is no obstruction when you are stopping pure idiocy. Obama Care comes to mind, taking the work requirement out of Welfare Reform, expanding the welfare state as the welfare state is imploding makes ZERO sense. Republicans are anarchists. We do want a government which supports freedom, liberty and opportunity not government largesse and class warfare. America is not defined by how much money we spend as a government but by the total of our individual achievements. Angus shows what a narrow view of the world he has, and what an even more narrow understanding of the field of politics he possesses. And this time I am not going to explain the mistake he has made, let him be consumed with his misguided sense of self worth. Harry, let us be honest, the GOP is fractured at this point, Mike Castle is not the person who could heal that fracture, no matter which side of the fissure you are on, Mike Castle was the cause of the fracturing. To have him even considered would only lead to further fracturing. Dave, to answer your question of what type of chairman does the GOP need, well yes to all the above, but also add a doctor to heal the fracture. The DE GOP is dead, I don’t know if it is extinct yet. Sure, Castle caused some of the problems but most of the problems were caused by the underlings willing to subjugate the cause for their own petty desires and grudges. Castle with a strong NCC Chair cut put the place back in to play for the short term while the field work would begin to structure a party to work. Lastly, he would not be seeking office and his phone calls would get returned in and outside of the state. Sorry but Cragg got brought in to the Gov race to be the next GOP chair and guess what. Poor Jeff, he was lied to. Remember when Copeland said his children “were that age” or his “business needed his attention”. The guy who won in an overwhelming GOP senate district and then got beat Very Badly statewide wants to be chair. Maybe we can ask Laird Stabler how he feels about Copeland who stabbed him in the back or maybe Rakestraw. Barosse says he is the consensus candidate, if that is true then he is the wrong choice. Funny thing about outreach by Copeland. In 2002 he used homeless guys from Sojourner’s Place to work on his campaign and in 2008 he paid HH Jr $4,000 to work the city for him, all unreported. If Copeland becomes Chair, he will never be able to win statewide office. I would advise Copeland to think this through. Unless the De GOP does a wholesale change in structure and leadership NO Republican is going to win statewide. Again, the new Chair must have 20 hrs a week/ 15 days a month for the job. He/she must have a detailed plan/blueprint to restructure the party. He/she must be a spokesman for the GOP in all of Delaware. That person has not emerged yet. There is a tendency to reach back into the past in situations like this. History shows they do not do well for humanity.. Napoleon was brought back but drove France to ruin. Bismark was brought back, but quickly put his faith in Hitler as the man who could change Germany forever… He was right, but it did not go as expected. Copeland announced. Craig was promised. Let us argue between these two. I heard Copeland’s interview over WDEL yesterday. I was looking for something new and did not hear it. Instead I heard 2004 all over again. His entire return to greatness will be based upon the premise that Blacks in Wilmington should vote Republican. Is that even realistic? If you choose to put the future of the party upon a dream, when dawn comes, the party like the dream will be gone. Copeland as defacto head of the party, oversaw its worse demise in history. 2004-2008. That has to stand for something. Now lets look at Jeff Craig. He ran as a figurehead over a party that was broken. Basically it contained the broken pieces Copeland left behind. Jeff started from scratch and had to put all of them together. There is no other person in this state who knows which Republicans can now be counted upon, and which cannot. No other candidate has run a statewide campaign in the past year. You can’t fault Jeff’s vote total. Anyone running against Markell would have been in the same boat. Markell has Republican support. Had Carney won 5 years ago, a totally different ballgame would have existed on the ground in 2012. Listen to Copeland’s address and tell me if you agree. Copeland is all about “top down”.. Getting funding, making ads, etc. Jeff ran as governor. Copeland ran as Lt. Gov. When he ran a state wide campaign against Matt Denn and statistically did almost the same as Cher against the same opponent. Matt Denn is no Jack Markell. Was Copeland really that great of a candidate? From the rolls of Delaware’s Department of Elections, one finds the highest ranking Republican vote getter in recent history, (until he just barely lost his number one spot to Romney this past election,) was one John Brady from Sussex County for Insurance Commissioner back in 2008. Even Republican John, got more votes than Copeland, John McCain, Sher, or any other statewide Republican candidate…. Jeff Cragg did an amazing job considering he had nothing left to work with. Who cannot say, it it were Copeland who was running against Markell, things would have been much, much worse. All those working with Jeff were under the impression they were putting a team together for the next run. Anyone other than Jeff, will have to tear the old team down before they can build anything new. There is not enough time. Tuxamus Maximus thinks Harry Whittington is very smart man. Tuxamus Maximus thinks a second bucket of rocks would be more useful in bringing back the REAL Republicans that wait in the shadows rather than another potential scandal with Lacey is a LAFFerty because the possibility is there. Haven’t you seen enough already? Tuxamus Maximus thinks that Castle would bring back the REAL Republicans and provide the needed rise over the THUGS that took over a now failed party in DE. It ‘succeeds’ only in Sussex for the most part. Tuxamus Maximus wonders why the failures of past (COD among others) aren’t history enough to see the mistakes of the past aren’t considered before making even dumber mistakes. Haven’t the Sussex Tea Party type Thugs had enough scandals to last the next 10 years without yet another? Tuxamus Maximus knows of one well respected REAL Republican that was tossed to the side because he didn’t respond to his second job that would be a much better candidate that LAFFerty. Tuxamus Maximus thinks that anyone the Angus Berger, little Willie and other big mouthed lying THUGS support would be just as big an embarrassment to the DEGOP as COD and the long list of LOSERS they have provided in the recent past. Tuxamus Maximus enjoys the entertainment here in Mr. Knott’s sandbox and wants only to leave ‘gifts’ on occasion. Tuxamus Maximus now ‘licks’ himself having yawned, fed, yawned again in preparing for another nap to briefly ponder why some can’t see the forest for the trees. Time for the news now!! Cragg for Chairman. Fat chance with Cragg joined at the hip with Grossman and Knotthead. This pack of scoundrels have gone too far. They won’t use their real name! ROTFLMOA, Way to get the last word in frank! The last word don’t mean a thing. What Ham Berger said is true and false wit from Knotts won’t change that. Taxamus Maximus and Laffter, you are both using false names, so what are you smirking about. Everybody here is using false names and even Frank Knotts’ name is suspect. Ham Berger, you did a great job, he is a Knotthead.